Born in 1982, Yokohama JAPAN. As a student of the Waseda graduate school of public management , studied under Mr Masayasu Kitagawa , former govennor of Mie and worked with assembly members to establish the ordinance entitled “Esashi Local Food Ordinance”, which was intended to promote local production and local consumption for the first time in Japan. During the period, He worked at the office of Senator Yutaka Kobayashi(LDP) and REP Manabu Sakai(LDP). After entered Research Institute of Manifesto University of Waseda, He worked as advisor of assembly reform for local assemblies across the country. In 2005, worked for the creation of “Manifesto Awards”, which is the first policy contest of local politics in Japan. In 2010, became the first secretary of Senator Miss Shinobu Kandori ( LDP). In 2011, first elected to the municipal assembly at the Yokohama Municipal Election (29 years old. 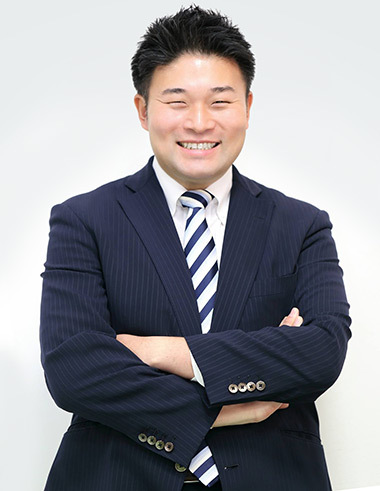 Youngest in LDP municipal assembly member). As the anchorman for “Hinode-TV” (founded by Congressman Mr Mineyuki Fukuda), the Japan first internet TV program by politicians, won the prize Manifesto Awards 2011. In 2013, appointed to the youngest delegate of the LDP executive committee to Yokohama. And appointed to the cities representative to LDP national project of Hydrogen Society. In February 2015, appointed to the secretary general of the JAPAN-AFRICA Friendship league of Yokohama City Council. Reelected in April 2015 (33 years old. Youngest in Yokohama city council). Appointed to the vice chairman of LDP Yokohama. In 2016 appointed to the lecture of Kanto Gakuin University. Copyright © くさま剛 公式サイト.All Right Reserved.